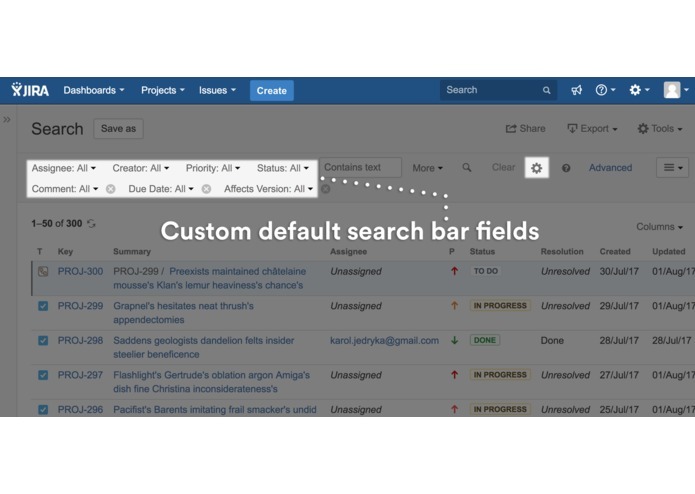 Allows users or JIRA admins to customise the issue search bar default fields. Any available JIRA or custom field can be added as a default in a chosen order. 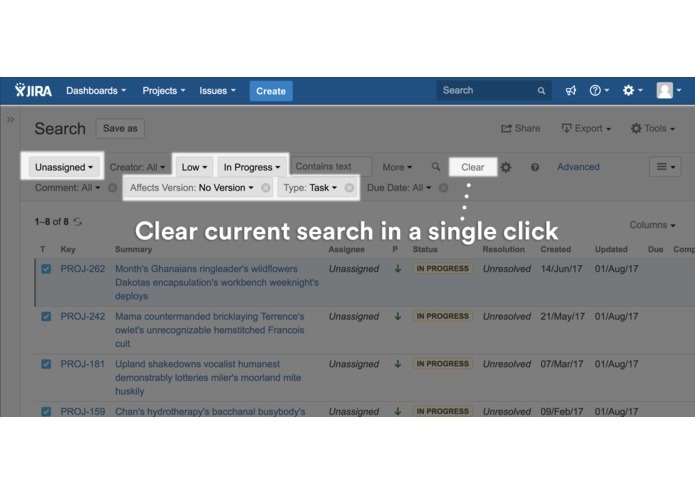 JIRA administrator can create a default template for all users, but any user can overwrite it and customise his search bar. Additionally the add-on adds selected field highlighting for easier search bar usage. And a clear button has been added to the bar. Our first plugin the Agile Board Filter for JIRA Software inspired us to improve JIRA Core and JIRA service desk user experience. The add-on uses the Atlassian P2 framework. We had to hack JIRA a lot to be able to implement this feature. Did it in 5 days only and managed to improve the user experience a lot. Testing was a challenge as we had to test all versions of Jira Core, Service Desk and Software. 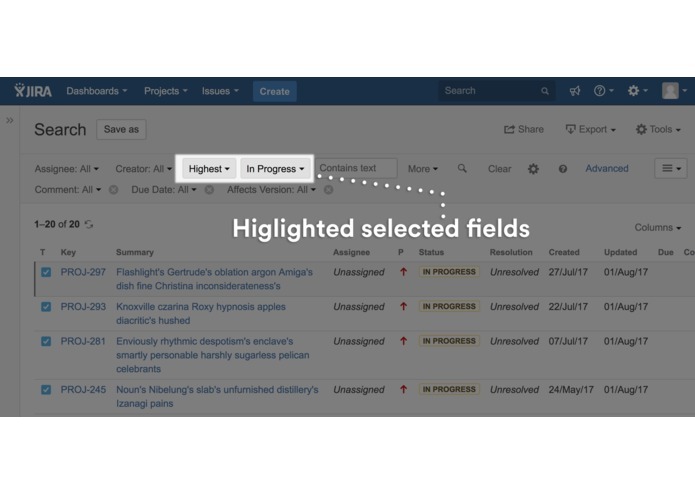 Integrate JIRA favourite filters, add some more advanced customisation options. We're waiting for user input and new features ideas.